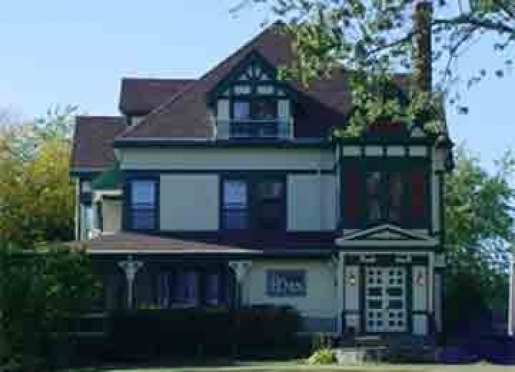 The Elms Bed & Breakfast (circa 1882), is a historic bed & breakfast located in Greater Portland, Maine. 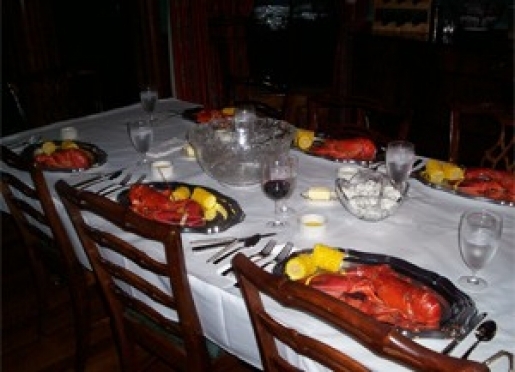 It is a graceful, luxury Inn, overlooking the Presumpscot River. With its classic architecture, well appointed rooms and amazing public spaces, it's a beautiful place to stay for a Southern Maine vacation, business travel, or for a simple over night getaway. 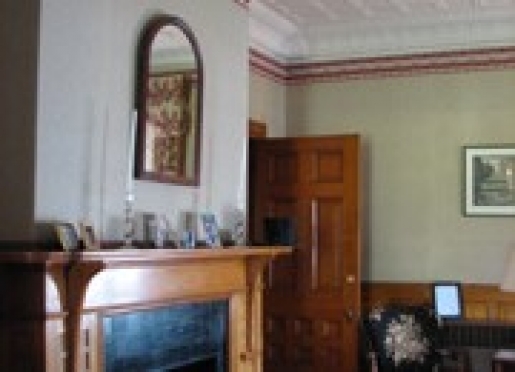 The Elms B&B harkens back to a gentle, bygone era. 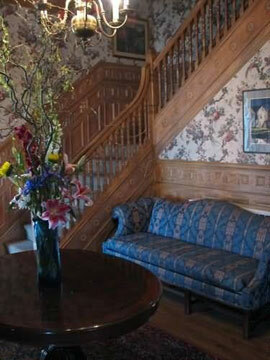 Our Bed & Breakfast is located just 10 minutes from the center of historic Portland, Maine attractions. Just minutes from lighthouses, Beaches, Lakes, Islands, the Old Port, Theater, art galleries, lobster dinners and more. Come and stay in an antique filled room, relax on the veranda, walk along the river, play billiards, read in front of the fireplaces, enjoy breakfast on Lenox china in a spectacular dining room. We are also looking forward to hosting your next event: Weddings, Dinner Parties, Retreats, Business Function, Reunion, or just a quiet weekend with friends. The Elms Bed and Breakfast is now Booking. Give us a call, email us, or book a reservation today! Travelers are always looking for memorable and relaxing experiences. Let’s discover more through the words of our innkeepers. Many thanks to Matt Pekens for sharing his secrets with BBOnline.com! Scrumptious Breakfast and interesting rooms. The John Calving Stevens architecture. The history, architecture, river frontage and relaxing atmosphere. Dining, dining and dining. And of course all things related to the sea. Close to lakes, ocean, mountains, woods and downtown venues. Dine, take a ferry to the islands, visit lighthouses, go antiquing, and go to LL Beans. Portland is known for its seafood, primarily lobster, but good fine and casual dining of all ethnicities are available. 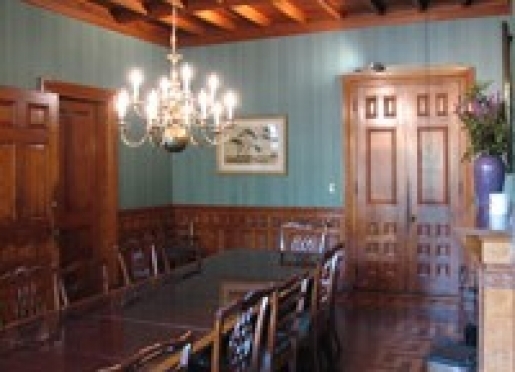 7 bedrooms, comfortable lobby, billiards room, killer dining room, and a veranda overlooking the river.